After Hitting the Wall in Mac System 7 development in the early 90s, Apple desperately needed a plan for the future. The isolationist, proprietary development style that had formerly differentiated Apple’s products now stood in the way of the company’s very survival. The same situation applies to Microsoft today. •1990-1995: Why the World Went Windows The smart strategies and dirty tricks used to establish the PC. •1990-1995: Planting Software Seeds How Apple and Microsoft tended their platforms. •1990-1995: Platform Crisis Meltdown Isolationist, proprietary developments at Apple and Microsoft. Apple pitched three foul balls with Pink, Taligent, and Copland, only to then turn around and embrace a future it had worked so hard to compete against. The rest of the tech industry, scarred from the tumultuous Unix Wars, snubbed a perfect opportunity to benefit from millions of dollars worth of free and open technology, and instead spent a decade locked in the proprietary chains of isolationist development. 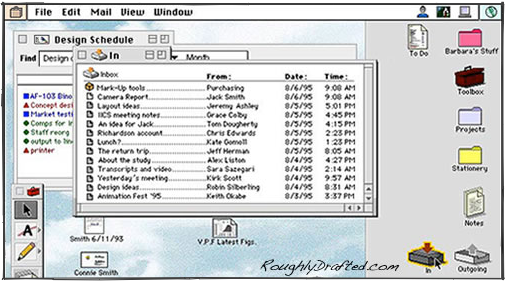 By the time Apple delivered System 7 in 1991, the company no longer represented the bleeding edge in graphical desktop computers. Anyone at Apple really interested in next generation technology had already jumped ship years earlier to join Steve Jobs’ NeXT Computer. NeXT’s hardware and software combination represented a number of ideas that Apple had postponed in order to ship System 7; at Apple, these long range, futuristic features had been code named Pink. In 1989, NeXT had delivered that future before Apple could even start work on fleshing out what its Pink would look like. While NeXT delivered Apple’s ideas for the future, Microsoft was delivering Apple’s past. Windows 3.0 dragged along behind System 7, only offering a basic desktop illusion for DOS. Here’s 1989’s NeXTSTEP compared to the Apple’s Mac System 7 and Microsoft Windows 3.0 from the early 90’s. Apple was likely more concerned with catching up to NeXT than outpacing Microsoft, the real competitive threat when viewed in hindsight. It would be another five years--an eternity in the tech world--before Microsoft would seriously begin to directly threaten Apple with a real product. Inspired by NeXT’s hybrid Mach/BSD kernel, Apple first worked internally to deliver Pink as a next generation operating system of its own, but those efforts were stifled by the more immediate and pressing needs to deliver and maintain System 7, which actually paid Apple’s bills and was itself a huge project already. Apple’s isolationist development style hindered System 7’s development, because the company had to design and build everything from scratch. While Apple was leveraging open standards in hardware, its software was all highly unique and proprietary. PowerTalk offers a good example of how this factor worked against Apple. NeXT leveraged outside, open software developments to beat Apple, despite being a much smaller company. 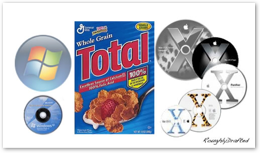 A prominent example was the use of BSD Unix for its core OS, which delivered the modern networking, memory management, preemption, and compatibility features that Apple desperately needed on the Mac. Taligent was initially focused on delivering Apple’s Pink. 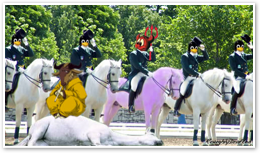 IBM contributed its WorkPlace OS, a new Mach 3.0 microkernel which eventually aspired to host multiple OS personalities, from OS/2 to AIX to Windows. Microkernel development was viewed as the undeniable future back in the early 90s. Everyone from IBM to GNU to the OSF and Apple had microkernel plans that promised to surpass NeXT’s integrated Mach/BSD kernel and deliver a futuristic OS that could do everything. However, as the nebulous ideas of Pink began to gel at Taligent under the name TalOS, it became increasingly unclear who might want to actually buy it. IBM’s customers were increasingly migrating to Windows, and Apple’s customers were already invested in the existing Mac System 7. Moving people to an entirely new and unproven platform had proven difficult enough for Microsoft with Windows, and Microsoft owned the PC desktop. The relevance of Apple’s Mac and IBM’s OS/2 was already being threatened by Windows, so an entirely new TalOS faced an even more difficult introduction. NeXT was similarly finding it impossible to crack into a market rapidly falling for Windows. 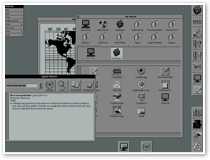 In 1993, NeXT collaborated with Sun to move its object oriented frameworks and user environment to run on top of Sun’s Solaris operating system, creating a development layer named OpenStep. 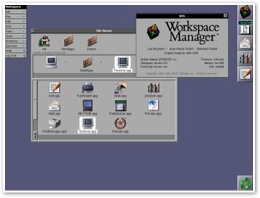 OpenStep applications would be able to work on top of a variety of platforms, including NeXT’s own NeXTSTEP operating system running on standard PCs, HP’s PA-RISC and Sun SPARC workstations, Sun’s Solaris running the OpenStep frameworks, and eventually even on top of Windows NT, using OPENSTEP Enterprise. The next year, NeXT delivered OpenStep as an open specification that anyone could implement. 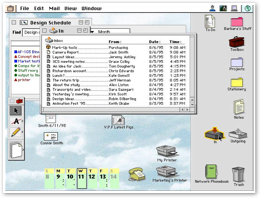 GNU began work on a free and open source implementation called GNUstep, and HP partnered with NeXT to deliver OpenStep for its own operating system, HP-UX. NeXT’s futuristic technology, developed using the millions invested by Steve Jobs and Ross Perot, was now free for anyone to use as an alternative to closed and proprietary development. For the first time ever, it appeared that the entire industry could align behind an open software platform, rather than working against each other on their own isolationist, proprietary developments. The timing was perfect: Apple’s Macintosh was in decline, Microsoft Windows NT wasn’t ready, IBM’s OS/2 was headed nowhere, and Taligent had given up on its own new operating system. Sun and HP were already on board with NeXT on OpenStep development. 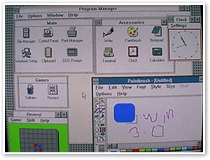 In 1993, Microsoft first unveiled Windows 3.1 NT and Win32. While NT wasn’t ready for mainstream work yet, Microsoft’s Win32 would begin to fight directly for developers’ attention against OpenStep. In markets where stability, security, and rapid development were important, NeXT was already far ahead. The CIA, NRO, NSA, and prominent banking and investment companies were already using NeXT’s platform. After investing in $11 million in NeXT, positioning OpenStep as the future of Solaris, and buying up NeXTSTEP development house Lighthouse Design for $2 million, Sun got distracted with its own Java software platform and put NeXT on hold, effectively locking up the largest library of NeXT software and throwing away the key. HP also left NeXT hanging when it joined the rival Taligent project. IBM and Apple, joined by HP, decided to mimic NeXT’s OpenStep strategy by dropping plans to deliver a new standalone Taligent OS and instead planned to ship Taligent’s object oriented programming environment to run on top of a variety of existing operating systems. 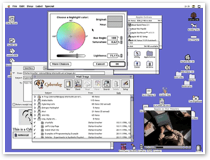 Like OpenStep, Taligent’s CommonPoint would be a software platform; the main difference was that CommonPoint was nothing more than a phonemically huge waste of effort that would never ever be used by anyone. It was planned to run on IBM’s AIX and OS/2, HP’s HP-UX, Windows NT, and of course, the new operating system Apple didn’t have. Rather than delivering Pink for Apple, the Taligent venture had only managed to reinvent a wheel developed a half decade prior by NeXT. Apple was back at square one. Even worse, NeXT had opened up its proven, advanced framework technology as an open specification, but the industry failed to make any use of it. Instead, Apple, IBM, Sun, and HP all squandered the opportunity to benefit from shared development efforts and pursued parallel, isolationist proprietary developments of their own. CommonPoint acted as a third candidate--like a Ross Perot or Ralph Nader--to defeat any potential for OpenStep to take on Microsoft's far less technically impressive Win32 environment. While CommonPoint promised to be better than OpenStep in its implementation, it was really just a loose bunch of idealist goals that struggled to fit the needs of too many different companies. OpenStep was already proven to work, and its technology had been working at NeXT for half a decade. After CommonPoint failed to gain traction, it left behind a patent portfolio that was licensed to Sun for use in Java, which similarly fractured any hope for a strong rival to Microsoft’s Win32. Sun then partnered with Microsoft on Java, only to learn what it was like to be IBM in the days of OS/2. Meanwhile, Apple’s System 7 was now five years deep into an extended meltdown crisis. As any hope for Taligent fell apart, Apple refocused on delivering its own solution with Copland. Copland intended to allow new apps to take advantage of its modern OS features, while also running existing Mac apps. It was a huge undertaking for a company already unable to ship minor updates. The other obvious problem was that by the time Apple could deliver anything, it appeared that there would be no reason for anyone to care. Microsoft's Win32 was standardizing across the entire PC world, and even Apple’s own customers had increasingly fewer reasons to buy a Mac. With no future customers, a new OS was unnecessary. After ignoring OpenStep and striking out with CommonPoint, the industry heavyweights thew all their support behind the Win32, both on the desktop with Windows 95, and in the server arena with NT. The past glory of the Mac had faded due to Apple's inability to keep it moving ahead of Microsoft, and now it appeared that nothing Apple could offer would ever matter again. In August of 1996, Apple canceled Copland and started negotiations to acquire the Be operating system; rumors also suggested a possible merger with Sun. Three months later, Apple instead bought up NeXT, and used NeXTSTEP’s frameworks and core OS as the basis for Mac OS X. That move was a shock to Sun, who had expected NeXT to die from starvation in the back of its storage shed. It was also a shock to Dell, who then scrambled to build a replacement web store. It’s unclear if anyone at Microsoft realized the potential for Apple to bounce back after acquiring NeXT’s futuristic technology. Microsoft treated Apple as a vanquished vassal state; Apple used that opportunity to develop two weapons for a future battle with Microsoft: its own QuickTime and the OpenStep technology acquired from NeXT. After handing the market Windows 95, a version of Win32 running on DOS, Microsoft would spend the next half decade working to destroy the imagined threats to Win32 posed by Netscape’s web browser and Sun’s Java. It would not actually ship its “new” NT technology to mass market consumers until Windows XP in 2001. Microsoft effectively used isolationist, proprietary development to build Win32 as its own closed platform, stealing Apple's strategy page and simply implementing it better. However, Win32 was fated to also eventually suffer from the secret of its success. Just as the Mac's closed hardware and software was challenged by Microsoft's closed Windows platform running on open PC hardware, Microsoft's position of control over the PC is similarly being challenged today by Linux and other open source alternatives. Today, open source projects offer platform and vendor agnostic technologies as compelling alternatives to Win32, primarily on the server side, but increasingly on the desktop as well. Since 2000, Apple has leveraged the work of open source development to directly battle Win32 on the desktop. 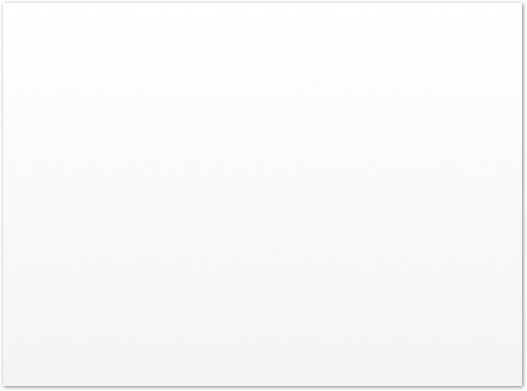 Mac OS X’s user environment is based upon NeXT’s technology, but its core is built upon the original rival of Win32: POSIX. While Win32 is closed, POSIX is an open standard for all Unix like systems, allowing easy portability and code sharing between Linux, BSD, commercial Unix operating systems, and Apple's Mac OS X.
IBM, Novell, Sun, HP, and other industry heavies who out of necessity aligned behind Microsoft’s Win32 in the past are now positioned behind Linux and open source, leaving Microsoft with shaky future support for continued proprietary development of Windows, just when Microsoft faces the daunting transition to Vista and a future move to 64-bit development. Isolationist, proprietary development is now working against Microsoft, because the Pandora’s Box of open source has been opened and the world has gotten a taste of the benefits of open, shared technology. The second factor related to both past and present platform crisis deals with legacy issues.